Who among us hasn’t been enamored by the majesty and unbridled freedom of being a pirate? Whether it be the lure of treasure or the feeling of a double-barreled flintlock pistol in your hands, you have probably imagined yourself as an eye-patch wearing captain of your own vessel. For those of us who still feel this way, great news; swashbuckling was all the rage at this year’s E3. 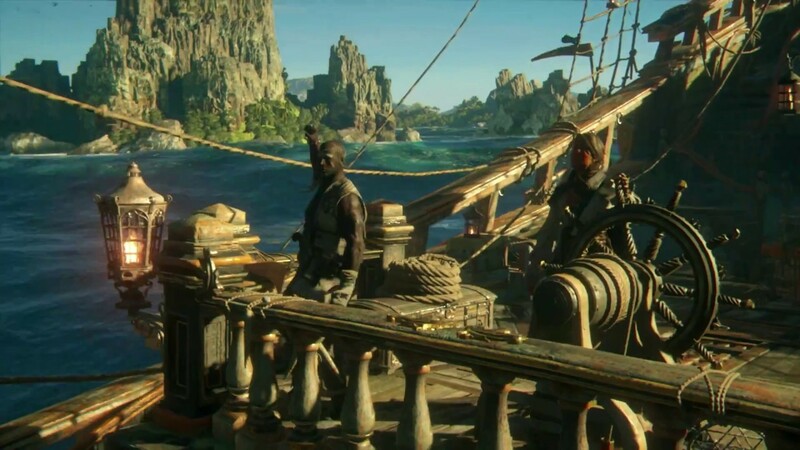 In both Microsoft’s and Ubisoft’s E3 presentations, we saw two new IPs centering around the visceral experience of being a rogue on the open seas, as Rare’s Sea of Thieves and Ubisoft’s Skull & Bones. Whether you want a laid back experience or a serious simulation, next year should help you scratch that itch. 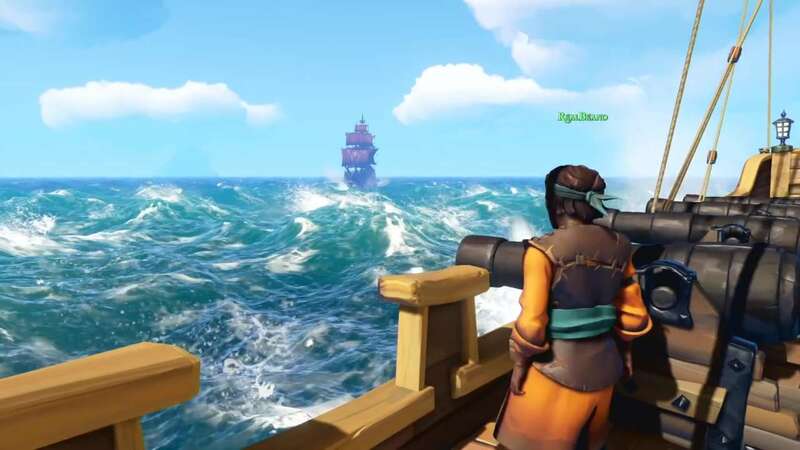 In Sea of Thieves, you and your friends can finally live out your pirate fantasy through all manner of buccaneer chicanery. Players will work together to sail and repair your ship, locate buried treasure, stave off enemy attacks, and a myriad of other activities. If ship combat and island locales begin to bore you, take a dive into the sea and explore the wonders of the deep. There are shipwrecks to discover and sharks to avoid as you try to build your legend as the most feared pirate roaming the water. Teamwork definitely seems to pay off, whether it’s raising/lowering the anchor, managing the sails, digging up treasure, or escaping attacks from the undead or other players. The more players you have helping dig or raise an anchor, the quicker these tasks are completed, as exhibited by Microsoft’s team of players in Mixer. This seems fine in concept, but more of what a single player might experience in tandem with AI may make the game more approachable. Rare uses the Unreal Engine to create a stylized world with beautiful ocean water and fun character models that appear to be a nod to the Disney Pirates of The Caribbean characters from the original theme-park ride. After seeing the gameplay video shown off, it’s great news that Rare has finally freed themselves from the Davy Jones’ Locker of the Xbox Kinect and are beginning to make fun games again. This new IP almost has the feel of what it would be like if Nintendo made a pirate game. If you are looking for that fun, laid-back experience, this may be the game for you. Ubisoft also threw their tricorn hat into the pirate ring with their new IP, Skull & Bones. While Rare’s game is a lighthearted romp on the sea, Ubisoft Singapore has done their best to create a ‘Pirate Simulator’. Skull & Bones takes place on the Indian Ocean trade routes in the 1720’s. There you will plunder your way through an assortment of gorgeous tropical locales, robbing whomever you can while trying to avoid the VOC (Dutch East India) Pirate Hunters. Ubisoft Singapore took the experience of their own local tropical environment and used that to create the beautiful islands, shorelines, and ecosystems of the Indian Ocean with dramatic detail, down to the ocean spray coming off the ships. Ubisoft Singapore first developed pirate life for Edward Kenway in Assassin’s Creed IV: Black Flag. The developers took the naval warfare from that game and created a 2 person combat system to demo in their office. After playing the demo, they knew they wanted to make a full-on pirate game. Ubisoft’s desire is to create a deep, rich world where you and your friends can engage in some of the most thrilling and gruesome acts of pirate life. In this tactical action game you will be able to acquire all manner of treasure and a varied assortment of ships. Each ship is tailored to a specific combat scenario. There are smaller, faster ships equipped with battering rams, ships with long guns for ranged combat, and frigates with devastating broadside cannons that can absorb a ton of damage. You can also board enemy ships to experience thrilling hand to hand combat on the deck with an assortment of 18th century weapons. In addition to building your legend as the most notorious pirate on the seas, Skull & Bones will also feature 5 on 5 PvP multiplayer modes. Showcased at E3 was “Loot Hunt,” a multiplayer scenario that has teams battling to see who can acquire the most treasure. After squaring off with other pirates, the VOC eventually steps in, signalling the end of the skirmish. The team with the most loot must then escape the Pirate Hunters to claim their victory. One of the most important mechanics of these battles is the wind. Ubisoft has paid great attention to this aspect and how you utilize the wind. Your sails will determine your speed and positioning in a fight. With a multitude of ships available, your team must strategize on how to emphasize their individual strengths to gain an edge in combat. This looked like great fun and an improved version of the naval combat from Black Flag. Missing however was more of what happens (if anything) when the great pirate leaves his ship in port. Trading outposts were teased on map, but never shown. All in all, this is great news for anyone with the fantasy of being a pirate. If you prefer having fun goofing around with friends in a stylized world of wonder and plunder, then Sea of Thieves may be up your alley. 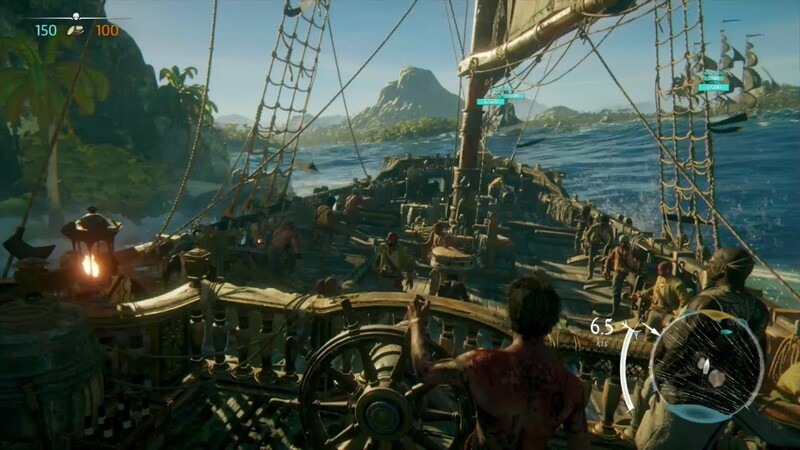 If you would like to become a blood-thirsty combat technician on the meticulously recreated environments of the Indian Ocean, then Skull & Bones is for you. Either way, 2018 is shaping up to be quite a bit of fun on the high seas.